Does The Mandatory HDTV Switchover, HAARP and GWEN Towers = Global Mind Control? Title: Does The Mandatory HDTV Switchover, HAARP and GWEN Towers = Global Mind Control? One of the most perplexing prophecies in all the Bible is found in Revelation 13; it is so startling that I have always wondered if Antichrist is going to exercise global mind control as he fulfills this verse. Now, ask yourself, how often have you seen the entire world go after anything in amazement and admiration. The nations of the world total some 175, with 7 billion inhabitants of dozens of cultures and hundreds of languages and/or dialects. The world cannot agree on much of anything, as the tired old nonsense coming from the United Nations for the past 50 some years will attest. You cannot get the world under normal circumstances to agree on anything! Yet, here we see that the "whole earth" rushes after Antichrist in amazement and admiration! But, not only do they profess their unbelievable admiration and amazement for this guy, they also worship Lucifer through him. Have you noticed that the greatest of all disagreements is usually over religion? Many of the wars in human history have been fought over religion! Yet, here we see that peoples all over the world from every religion on earth, fall down and worship the "dragon" (Lucifer) through "the beast" (Antichrist). How can this possibly occur? How can all the world's peoples suddenly desire the same man and worship Lucifer through that man? If 5,000 years of human history has taught us anything, it is that peoples of different languages, cultures and religions will disagree far more often than they agree. Yet, peoples all over the world are prophesied to be rushing in admiration, amazement, and worship of Antichrist. Other prophecies speak to the seemingly "supernatural" powers of the Antichrist during his reign on the Earth. (a) Matthew 24:24, "For there shall arise false Christs, and false prophets, and shall show great signs and wonders; insomuch that, if it were possible, they shall deceive the very elect." In other words, the era of Antichrist shall be unprecedented deception! (b) 2 Thessalonians 2:9-11, "Even him, whose coming is after the working of Satan with all power and signs and lying wonders, And with all deceivableness of unrighteousness in them that perish; because they received not the love of the truth, that they might be saved. And for this cause God shall send them strong delusion, that they should believe a lie." Notice the words of strength in this passage. "All power and signs and lying wonders". The forces of Antichrist will deceive the unsaved on the Earth because he exercises this deception with "all deceivableness of unrighteousness". Then, we see that God sends a "strong delusion" on those of the Kingdom of Antichrist, who rejected the Truth of the Bible that they might be saved. 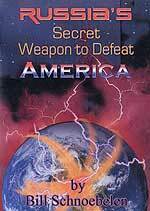 Have the forces of Antichrist cast a spell upon the peoples of the world? This question may be closer to the truth than you might otherwise believe. 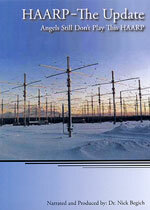 For years now, Cutting Edge has been warning about the Mind Control aspect of the HARRP tower array which the United States has built in Alaska. This article speaks to this technology, but in the context of fitting into an overall plan which can implant thoughts into people's minds all over the world at once! And, guess what? The new HDTV system which was forced upon all of us on June 21 is a final brick in the entire scheme to stage Antichrist and then to convince people to follow him and to worship him. Let us begin our most interesting, and most perplexing, story. First of all, though, Dr. Barela starts off with an obvious absurdity. "Have you ever wondered why our government is so anxious to spend 8 billion dollars on her citizens to improve the clarity of their TV picture? Instead we should be asking ourselves why the switch to HDTV is 'MANDATORY'?" When sense does not make common sense, we have to seek other sense. Since it makes no sense whatsoever that our government -- hardpressed for money anyway -- could possibly be so concerned about the quality of our TV picture, we must seek the REAL reason they ponied up $8 billion for this technology to be implemented and then turned around to FORCE everyone in the nation to move up to this new HDTV system. I kept scratching my head during the last several years as the forced switch to HDTV was occurring, anxious to see how it fit into the New World Order Plan, because every detail about it seemed to point to some role this new TV technology was going to play in the coming New World Order. 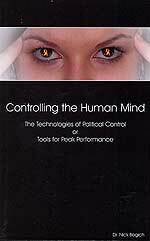 Thank goodness Dr. Barela put his finger directly on the issue -- Mind Control. ".. obviously what caused Eisenhower such deep concern had to be something much more pervasively shadowy, dark and secret. Some new, covert, technology had clearly emerged that had the very real potential to provide certain individuals with the 'acquisition of unwarranted influence' that in turn would 'endanger our liberties or our democratic processes' (i.e., our free and fair election process). In other words, it had the clear potential to circumvent the voice of the people and completely empower un-elected power mongers. Eisenhower, I would submit, was warning America about something called the 'Sound of Silence'. " Do not for a moment believe that President Eisenhower was a loose cannon for the Illuminati. He was leap-fogged over other commanders more senior than he during the preparation phase of the Invasion of Normandy. Why was he a favored son over more experienced commanders? Dwight D. Eisenhower was simply more of a political manager than a combat general and he was totally sold out to the Illuminati Plan. But, his last speech showed a heart that is truly amazing. I have always thought it likely that Eisenhower possessed more downright patriotism and human heart than his masters must have thought he possessed. His warning is truly startling to anyone who knows the workings of the Global Elite and their Plan for a New World Order. Ike really bared his soul during his final speech. So, what is the "Sound of Silence" anyway? "The Sound of Silence is a military-intelligence code word for certain psychotronic weapons of mass mind-control tested in the mid-1950s, perfected during the 70s, and used extensively by the 'modern' US military in the early 90s, despite the opposition and warnings issued by men such as Dwight David Eisenhower." Notice that the breakthrough in this type of mind-altering technology occurred in the "mid-1950s"! This technology has been around for five decades now, being perfected to the point where it can now conceivably control the minds of the entire population of earth at one moment in time! "This mind-altering covert weapon is based on something called subliminal carrier technology, or the Silent Sound Spread Spectrum (SSSS) (also nicknamed S-Quad or 'Squad' in military jargon). It was developed for military use by Dr. Oliver Lowery of Norcross, Georgia, and is described in US Patent #5,159,703 — 'Silent Subliminal Presentation System' for commercial use in 1992 ... The technology is also known as Sound of Silence and it works by transmission of sound undetected by the ear but planted into the human auditory cortex of the brain. It is the ultimate in universal mind control ... This new mind control technology can actually make you do something you would normally not do." This new system simply could not work in the old analog TV's as it would appear only as static. Televisions simply had to convert to the new technology and do so nationwide in one day! "Perfected more than thirty years ago by the Department of Defense and battlefield-tested upon unwitting Iraqi soldiers serving in the army of Saddam Hussein in the Gulf War during 1991, SSSS is a sinister weapon that may have been developed for a specific mission: the total subjugation of the American people ... On March 23, 1991, a news brief was released in the form of an ITV News Bureau Ltd (London) wire service bulletin entitled “High-Tech Psychological Warfare Arrives in the Middle East.” This was during the administration of George Bush Sr., during “Operation Desert Storm,” and describes in remarkable detail a US Psychological Operations (psy-ops) covert operation successfully deployed against Iraqi troops in Kuwait. Saddam Hussein’s vaunted “Republican Guard” crack troops were promising Bush 'the mother of all battles' with many thousands of dead coalition troops. On paper, it looked convincing. Hussein’s Republican Guard troops were battle-hardened veterans of the 10 year war with Iran, while coalition troops were unblooded. The Iraqis had modern weaponry and were well trained in how to use it. Something very strange happened, however. The 'mother of all battles' ended before it began, as literally hundreds of thousands of Iraqi soldiers surrendered en masse without even firing a shot!" "Whether SSSS is coupled with the new all-digital TV signal as its means of delivery into the minds of an unsuspecting U.S. populace or not, it can be deployed by many different devices, including HAARP and GWEN towers, which would effectively blanket the entire nation at once. In fact, Judy Wall, editor and publisher of Resonance, the newsletter of the Bioelectromagnetics Special Interest Group, says that “there is evidence that the US Government has plans to extend the range of this technology to envelop all peoples, all countries. This can be accomplished, is being accomplished, by utilizing the nearly completed HAARP project for overseas areas and the GWEN network now in place in the US...."
"But the most insidious aspect of SSSS is that it is completely undetectable by those being targeted. Because it delivers its subliminal programming directly to the human brain via the auditory sense at frequencies that humans are incapable of perceiving as sound, there is no defense against it. Everyone on the planet is equally susceptible to mind control via SSSS and there isn’t any escape from it, as the UHF waves can be transmitted over very long distances from remotely located sources and will pass through walls and other objects as if they are not there. UHF is the frequency (100mhz) that has been used for television and radio broadcasting for as long as these media have existed. SSSS is designed to utilize UHF as a carrier wave." "Even more insidious, though, is the fact that, coupled with the use of supercomputers, an individual’s unique electroencephalographic (EEG) patterns can be digitally altered and then stored for rebroadcast via digital UHF. According to Judy Wall, these computer-enhanced EEGs “can identify and isolate the brain’s low-amplitude ‘emotion signature clusters,’ synthesise them and store them on another computer. In other words, by studying the subtle characteristic brainwave patterns that occur when a subject experiences a particular emotion, scientists have been able to identify the concomitant brainwave pattern and can now duplicate it.” These modified emotion signature clusters can then be broadcast over UHF carrier frequencies (i.e., regular TV and radio signals) directly into the brain where they can then “silently trigger the same basic emotion in another human being.” In other words, if the emotional signature cluster for, say, a feeling of hopelessness and despair is being fed directly into your brain via unseen radio waves, you will feel those emotions. The implications of this are, quite literally, mind boggling." "It could easily result in the takeover of American society without a single bullet being fired." The most interesting of all aspects of this occurs when you applied a doctrine I learned in US Army Intelligence, serving three years at a Pentagon-level facility in Okinawa. I learned that, when the government admits they have new technology, in reality, they have possessed it for at least 10 years. I believe it highly likely that all of the computers used by people over the last decade or so have been mined so they can isolate your "emotion signature clusters" for use at a time such as this. Therefore, when the last HDTV piece is set into place, everyone's emotion signature is already captured. Another article sees Messianic applications to this technology , and I believe they are absolutely correct. "First of all you need to understand that the government has been hard at work on mind control for many years. Now we already know through various government agencies that they watch and record everything that everyone does - we are totally kept within the government's grid ... We will start with Project Blue Beam brought to us by NASA (National Aeronautics and Space Administration). Much of the NASA projects were spear-headed by German-Nazi scientists brought to this country at the end of WWII under Operation Paperclip..."
"... they will create "shows' projected into the sky to announce the new messiah. This will be accompanied by the voice in different languages as well. 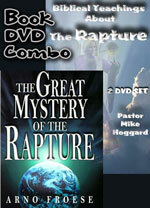 This may include a "rapture" as well and it will make the way for the new messiah for a one world religion. They practice these holograms now - that is why we see UFOs. This will be done using ELF,VLF and LF waves that are the same frequency as the human brain." While all this information bombards your mind with such boggling information as to overwhelm it, this next bit of information may totally fry your brain circuits! "The third step is Telepathic Electronic Two-Way communication for everyone on the planet. This sets the stage for those unaware of the possibilities of mind control to follow the masses and never to question anything." "The fourth step is putting all of these mind-control projects together. Using ELF, VLF, and LF they can now show everyone the messiah and now you can hear the messiah and you will be duped." What are the elements of this total worldwide system of mind control? 1) "H.A.A.R.P. - High-frequency Active Auroral Research Project - this array is located in Alaska and it blasts super-charged high frequency radio waves high into the earth's atmosphere ... These beams are very powerful and can be pointed anywhere and can cause humans to have brain dysfunction so thoroughly that they cannot participate in battle nor defend themselves. These beams are used to alter weather patterns globally and also to cause earthquakes." Cutting Edge has taught this reality for many years. We have prepared a "Weather Control/Weather Warfare" section with pertinent articles and bookstore items which you might want to read about this subject even more thoroughly. 2) "GWEN towers - Ground Wave Emergency Network - produces geomagnetic fields and they are spaced approximately 200 miles apart across the United States. These operate in a very-low-frequency (VLF) range. These waves have a tendency to hug the ground ... Many people did not like the effects these towers had on people and the environment and they were supposedly shut down although they remained intact. They are part of the GPS grid now as well. Then it was decided that "cell towers" could be used as well and people did not throw fits about this - that is why there are so many going up now, even very close together." "Take the microwave towers, HAARP and the TVs and you are surrounded. A total grid is locked down upon you and you are at their mercy so you need to be aware of this so that you can question any changes in behavior or mood or actions that you feel suddenly. And I don't care where you live, you cannot get away from the effects of these towers or the satellites either. They all work together - they blanket the planet." "Now you tie all of this together and more things I will get to in the next post and we are well on our way to total mind-control. I have not even touched upon the surveillance and other quaint projects the government is up to yet. But, they all tie in together..."
The technology seems to be at the point now where the Illuminati can really and truly control the minds of all peoples of the world at once. Even Christians may be subject to this mind-altering and mind-controlling technology! What can we possibly do to protect ourselves? The Holy Spirit certainly can surround our minds with His Omnipresent Power, just as God put a "hedge of protection" around Job. All Christians need to aggressively get on their knees before Almighty God to clear any and all obstacles which might prevent us from being totally under His control and protection. But, I wonder if God is planning to protect His beloved Church by snatching us out of this dimension before Antichrist arises? That would be the ultimate in protection of His people. With the Church gone, the forces of Antichrist could rapidly finish the work they have to do to stage their beloved "Man of Sin". 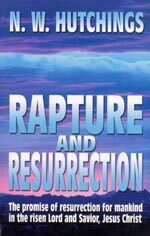 Our next article will focus on the Biblical aspect of the Imminency of the Rapture versus the appearance of Antichrist. Our Part 2 article will also close up a number of loose ends on this terrifying subject. Somehow, the Rapture of the Church seems exceedingly close. Are you spiritually ready? Is your family? Are you adequately protecting your loved ones? This is the reason for this ministry, to enable you to first understand the peril facing you, and then help you develop strategies to warn and protect your loved ones. Once you have been thoroughly trained, you can also use your knowledge as a means to open the door of discussion with an unsaved person. I have been able to use it many times, and have seen people come to Jesus Christ as a result. These perilous times are also a time when we can reach many souls for Jesus Christ, making an eternal difference.